Southend United manager Paul Sturrock has indicated he may be willing to allow midfielder Ryan Hall to leave the club on loan. The 24-year-old has been linked with a number of clubs, including Blackpool and Peterborough. Sturrock told BBC Essex he did not think Hall was "mentally attuned" to play at the present time. "I've got to decide what's best for Southend and don't feel he'd benefit the team at the moment," he said. 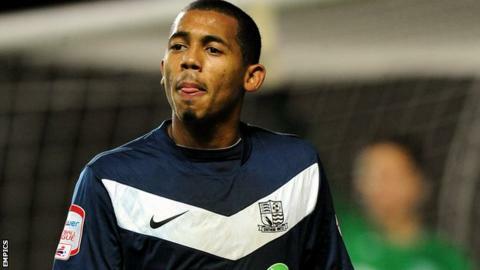 Hall, who began his career at Crystal Palace, has made over 100 appearances for Southend since joining them from non-league Bromley two years ago, scoring 23 goals, and is under contract until the end of the season. Meanwhile, the Shrimpers are also awaiting developments as far as French defender Bilel Mohsni is concerned. The 24-year-old had a trial with West Ham and is currently with Ipswich on a similar arrangement after informing Southend that he did not want to return to Roots Hall. "Bilel has chosen not to be at the club - that's a completely different kettle of fish," said Sturrock. While awaiting possible offers for both players, the Scot has every intention of making use of the opening of the loan window to strengthen his team. "It's a loan society now, let's be perfectly frank," he commented. "We are in that group of clubs that have to use the loan system and when players become available again, I'm no different to anyone else. "We have a couple of holes in our squad that have to be filled and that's something I'm looking into."